I feel so tied when we were finished the five-day conference (14th world conference of earthquake engineering). 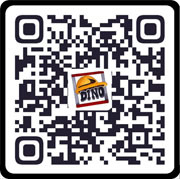 That is my first time to Beijing, but I was so busy for the conference and has no chance to play outside. Finally, on the day before I would fly back to Guangzhou, I decided to go and play in Beijing. 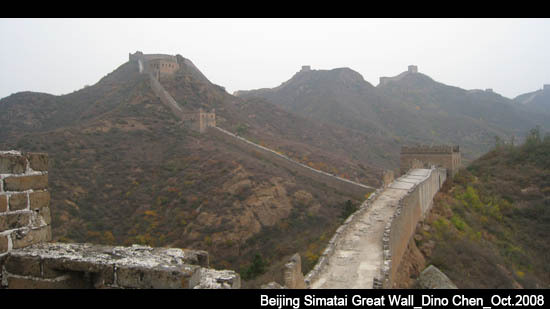 Simatai great wall is the best choice for me. Kent Huo is my partner and my tour guider in the journey. He has a perfect plan of that journey. We choose the cheapest journey to the Simatai. We started on 17th afternoon, and then took a long time but cheap bus to a place near Simatiai, and we shifted to Simatai by taxi. Finally, we reach Simatai at 10:00 pm. We were so tied and had a rest immediately. The second day, we started at early morning to go to visit the beautiful great wall. We walked throught the great wall form one emplacement to another, finally to reach the other point name Jingshanling great wall. It’s a very very long distance to walk, about 5 hours. However, the scene of every emplacement is very beautiful. So we also took a lot of pictures. I think the Beijing of October is the most beautiful. The pictures I took had put on internet in my website.